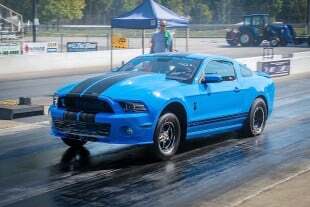 A few years back, we put together the LS vs. Coyote shootout in which we built an LS3 and a Gen-1 Coyote engine, with the sole intention of having the two of them square off in a dyno challenge. We put in place a pretty restrictive set of rules, which, in a nutshell, capped those engines at a $9,999 budget, didn’t allow any form of power-adder or even changing from stock displacement, and demanded street-car-friendly parts. The testing shook out pretty definitively for the LS3 in that series, but there was drama brewing in Coyote land. Some didn’t like the parts that were chosen, and argued that the best Coyote builders weren’t tapped. To quell those naysayers, we’re bringing you round two of the LS vs. Coyote shootout, but this time with a little more power, fewer rules, and two of the nation’s top Coyote and LS engine builders involved. One – That is where a majority of the market heads for big power. A centrifugal supercharger kit is a relatively inexpensive option these days, and makes big power even on very stock “ish” engines. Two – That was one of the most repeated criticisms of the first test. “The Coyote would perform so much better than the LS with boost!” was a common sentiment of the vocal critics of the first round. Whether they were just die-hard Coyote fans trying to save face, or were actually correct will be seen. You asked, we answered. Three – Who doesn’t like boost? Seriously, all other factors aside, who doesn’t like forced induction? Even one of our engine builders who campaigned a car in a max-effort naturally aspirated racing class likes boost. ProCharger will be supplying each team with any blower they choose, with the caveat that they have to run a 12-rib drive system. No cog belts or gear drive units will be allowed. Along with blowers in this round of competition, comes an increased budget and more relaxed rule set. This go-around, the budget for each engine with be $15,000, and that doesn’t include the cost of the supercharger, electronics, injectors, or basic machining and assembly. What that budget does include is all of the engine components, from the oil pan to throttle body, along with any special or unusual machining, such as sleeving the block and porting of the cylinder heads. All of the pricing used for parts will be determined by those listed on Summit Racing’s website, where you can actually buy all of the parts used in the competition. For the supercharger, the rules are simple – any off-the-shelf ProCharger centrifugal supercharger can be used. The one caveat to that, is that it has to use a 12-rib (max) drive system. No cog belts or direct drives allowed. Serpentine belts, and that’s it. Both engines will also use the same ProCharger air-to-water intercooler to eliminate any variables. For fuel on this go around, we decided on E85. Its low cost, relative abundance at the pump, and ability to make stupid power make it an easy choice for this competition. Who doesn’t like race gas at the pump, for less per gallon than 93 octane? Both engines will be tuned via a Holley Dominator engine control unit. Injector choice will be up to each team, but the engines will both be tuned via the same ECU on the dyno. Hydraulic roller valvetrain only. No solid rollers, and no hydraulic roller trickery. Working, functioning hydraulic roller lifters must be used by both teams. Off-the-shelf valvetrain components are required, with the exception of the camshaft(s). Custom ground cams are pemitted. If you followed the last LS vs. Coyote shootout, you know how much less restrictive this ruleset is. Any displacement (with off-the-shelf parts), any compression, any camshaft… things are going to get rowdy in the dyno cell. While basic machining and assembly aren’t deducted from the $15,000 budget, any “special or unsual” machining – like CNC porting or resleeving a block – will come out of the budget at the standard pricing. Parts pricing will be determined by pricing on SummittRacing.com. Another twist from last time is that this won’t be a straight peak-power competition, but rather scored in three separate areas of performance. Peak power and torque will be the largest contributor to the overall score. The numbers will be combined and the highest number will be worth four points in the competition. 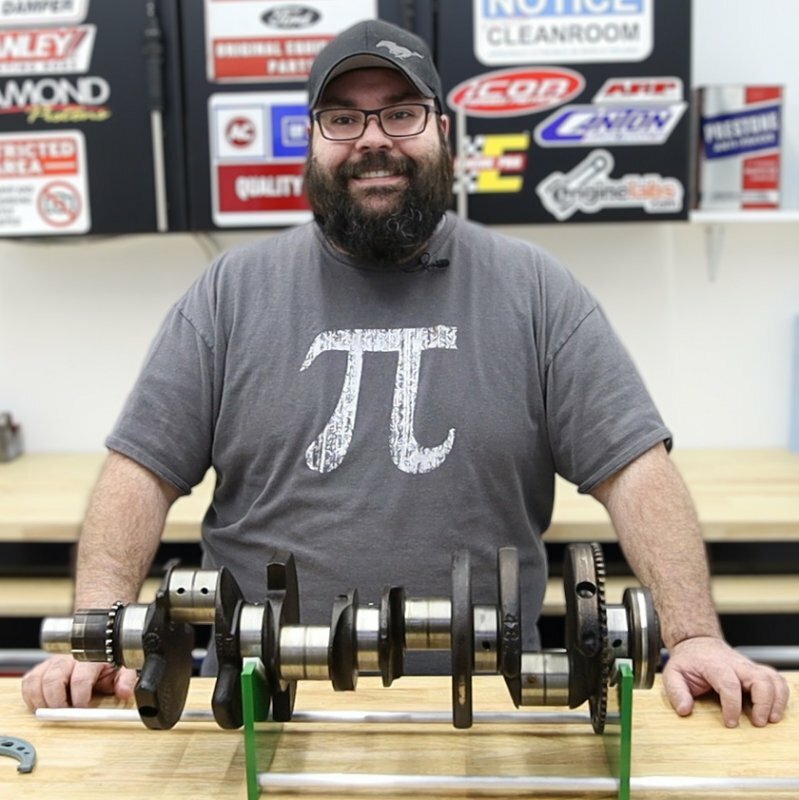 Power under the curve is super important when it comes to actual performance in a vehicle, and can often be overlooked when comparing dyno sheets. To allow for that, an average power number over a specific RPM range will be calculated and compared. The measured RPM range will consist of each engine’s peak power and the 3,000 rpm before it added and averaged. That measurement will be worth three points in the competition. Finally, there was a lot of grumbling about the fact that the LS3 had a displacement advantage over the Coyote last time. This time, with displacements unrestricted, and the ease of getting cubes out of an LS, we had to weight the results somehow, and that is through a horsepower-per-cubic-inch calculation, which will be worth two points in the competition. Each engine builder will build their respective engines at their own shop, with all their own tools and machines. 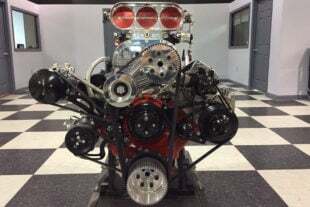 The engines will then be brought to Westech Performance Center in southern California for dyno testing, using the same Holley Dominator ECU and ProCharger air-to-water intercooler, for as level a playing field as possible. Another opinion that was vociferously shared after the last shootout, was that the parts selection was “all wrong.” So to eliminate that as an excuse, we’ve turned over the parts selection and engine building tasks to two of the best engine builders in the business. Building the LS will be Bryan Neelen and his team at Late Model Engines out of Houston, Texas, who are well-respected in the LS world for their big-power engine builds. On the Coyote side is Tim Eichorn of MPR Racing Engines. 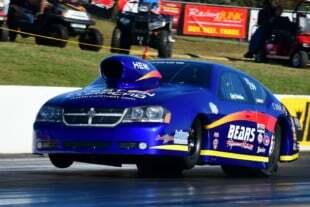 Known throughout the NMRA both for his exploits behind the wheel and as an engine builder, he’s got his finger on the pulse of the Coyote market. With that, the only thing left to do is get all the parts ordered, and watch as these two extremely talented individuals work their magic on their respective engines at their shops. 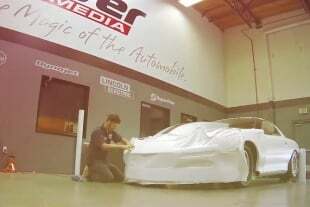 We’ll be following along the entire way, culminating in the dyno testing at Westech in southern California, so stay tuned, as we bring you with us on the journey. Our two builders, both respected in their markets. On the left, Coyote-builder Tim Eichorn of MPR Racing Engines. On the right, LS-builder Bryan Neelan of Late Model Engines. Backed by some of the biggest names in the automotive aftermarket — including ARP, BMR Suspension, COMP, Covercraft, DiabloSport, Dyna-Batt, E3 Spark Plugs, Holley Performance Parts, Mahle, Mickey Thompson, ProCharger, QA1, Royal Purple, Summit Racing, TCI, Weld Racing, and others — we are ready to kick off another amazing series. Stay tuned for the next episode of LS vs. Coyote!